If you've ever quit Netflix -- only to come crawling back once you've realized that Hulu only has TV shows and the MPAA is cracking down on other video-streaming sites, you've probably noticed that when you re-signup for Netflix your data is still on the servers. Even if you quit the service over a year ago. 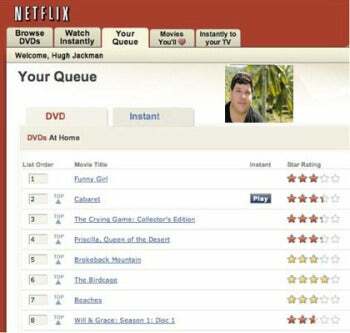 Well, those of you crying privacy foul need worry no more -- Netflix has agreed to delete former users' video history and queue data within one year of their leaving the service. The company agreed to this stipulation in a settlement regarding a class-action privacy lawsuit filed against Netflix last year. The lawsuit accused Netflix of violating the 1988 Video Privacy Protection Act (VPPA), which makes it illegal for video rental services to disclose viewers' video habits without written consent. The suit, which was filed in the U.S. District Court of California in March 2011, was settled for $9 million with no admission of wrongdoing. $6.65 million of the settlement money will be paid to various privacy organizations, while $2.25 million will go to the lawyers (of course). "Netflix has settled a lawsuit related to the company’s compliance with the Video Privacy Protection Act with no admission of wrongdoing. This matter is unrelated to the company’s concerns about the ambiguities contained in the VPPA, which keep Netflix from offering its U.S. members the ability to share their instant watching information with their Facebook friends, an experience Netflix members currently enjoy in 46 other countries." As you can see from Swasey's statement, this isn't the first time Netflix has had a run-in with the dreaded VPPA. The company has been trying to get its frictionless-sharing Facebook app onto U.S. users' computers, and the VPPA is all that stands in its way. The VPPA was passed in 1988, after the video rental history of Supreme Court nominee Robert Bork was leaked and published. Though Bork's video history was "unremarkable" and contained such titles as "A Day at the Races" and "The Man Who Knew Too Much," the VPPA was signed into law by President Ronald Reagan. In 2009, Netflix also found itself at the center of controversy regarding the VPPA when it tried to execute a research contest that involved disclosing demographic and behavioral data of individuals. Though the disclosed data was technically anonymous, it was determined that the data could be used to identify individuals.